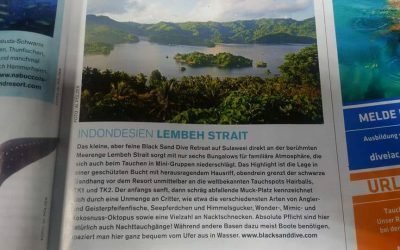 Dive Lembeh with us. We know critters! Come and see what the excitement is all about! Black Sand Dive Retreat is a 6-bungalow quality dive resort spread across three hectares of a coconut plantation fronted by a private black sand beach in sheltered Kambahu Bay. Now in our eleventh year of operation, BSDR offers personalized services leading to an exceptional dive holiday experience in Indonesia’s “Exotic Critter Capital”. 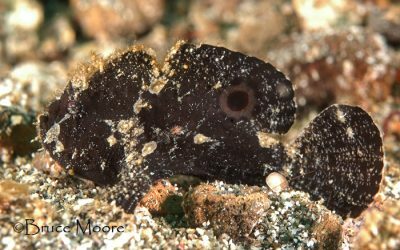 Known as the “Muck Mecca”, Lembeh is famous as the best destination on the planet for what is known as exotic critter diving, macro diving, or muck diving. There is an impressive array of underwater topography, including verdant soft and hard coral gardens, walls, and even a pinnacle. But it is the plain black sand sites that make the area famous with their profusion of strange and beautiful attractions. Only six bungalows means a maximum of twelve guests in the resort, so more personal attention. Maximum four divers per speedboat guarantees small diving groups, so no pile-ups at special critters and less kicked-up sand. Why pay more and travel so far to dive in groups of eight, twelve or more divers? 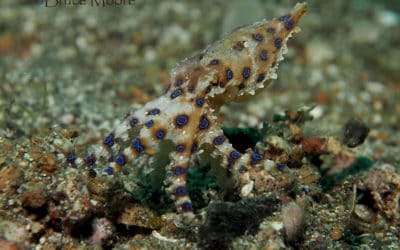 Our fantastic House Reef is one of Lembeh’s best dive sites with calm and current-free conditions. Free self-guided shore dives off our beach helps to stretch your diving dollar. We are located in the middle of Lembeh’s best dive sites, so the speedboat ride to most of the top sites in the strait takes less than ten minutes. Transfers to and from BSDR are smooth owing to the well-surfaced asphalt road from Bitung to the resort; no boat ride necessary. Our open and elevated property offers not only great views, but catch seasonal breezes, so it’s cooler and there are less mozzies. Our cuisine is served hot and fresh a la carte from a short menu that changes daily, not buffet style. 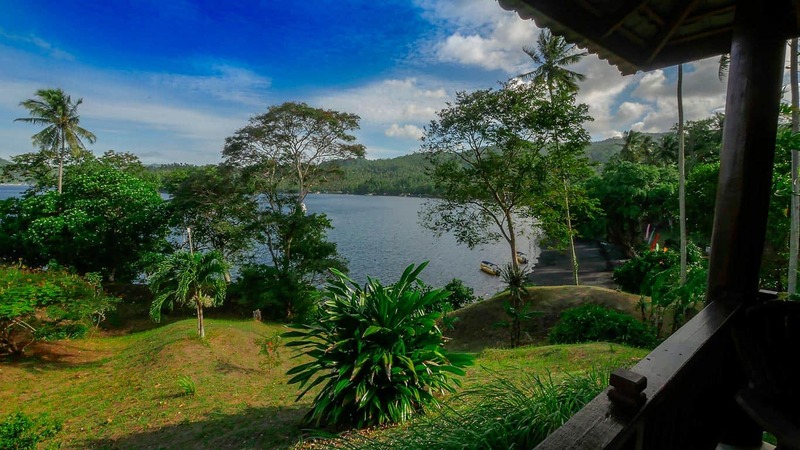 Our superb location in Kambahu Bay means that we are right in the middle of Lembeh’s best dives and most of the sites in the strait are within five minutes by speedboat. Directly off our fine black sand beach lies our exceptional House Reef, offering dedicated critter hunters and shutterbugs fantastic dives in calm and current-free conditions.